Have you visited any of these Seattle museums? As we reflect on 2017, and embrace the upcoming new year, we’ve shifted our focus to planning mode for 2018. It’s a milestone year for us. This year, we will celebrate our 10 year wedding anniversary and Cameron will turn the big 4-0! He’s getting sooooo old. While we’re cooking up a few big adventures for 2018, we’re also planning a few close-to-home adventures. We want to take advantage of our prime location in the Pacific Northwest, so we’re researching family friendly activities that are within driving distance from our home in Vancouver, British Columbia. Did you know February is Seattle Museum Month? We didn’t. We also had no idea Seattle was home to so many museums. Over 40 of them! Basically, Seattle Seattle Museum Month is a program where when you book accommodations at one of the participating downtown hotels, you get half price admission to participating museums. That’s a pretty good incentive for us to jump in the car and drive down to Seattle for the weekend. We took our boys to the Royal BC Museum in Victoria a few months ago and they loved the experience. It was fun watching them connect to the interactive exhibits. It’s amazing the things they pick up and remember. If you’re planning to take advantage of Seattle Museum Month, here’s the list of participating museums. Below are a few museums we think you should consider adding to your Seattle itinerary. 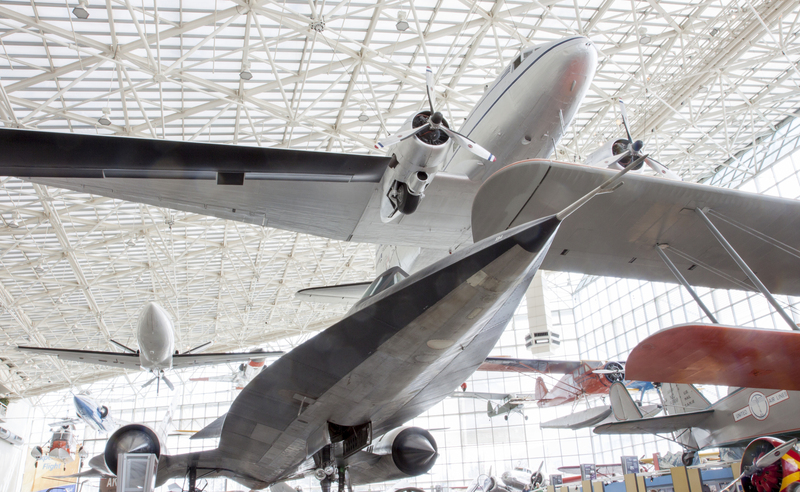 With over 175 aircraft and spacecraft, tens of thousands of artifacts, millions of rare photographs, dozen of exhibits and experiences and a world-class library, the Museum of Flight is the largest independent, non-profit air and space museum in the world. Our boys LOVE airplanes, especially this guy. In some cases, they enjoy the flight experience more than the actual vacation (we’ll take it!). They’ve also started to get into Star Wars recently, so spaceship exhibits and flight simulators are a big hit with them. Highlights of this museum are the Apollo 17 Lunar Module Ascent Stage Mock-up, the 737 Airliner Theater, Kid’s Flight Zone and 3D Movie Theater (check showtimes here). 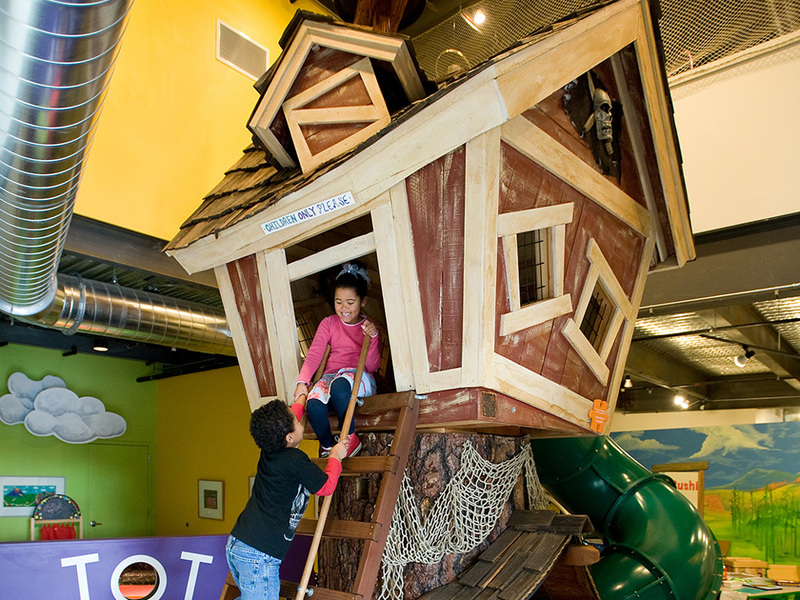 The Kids Discovery Museum is a fun and interactive place for kids to play and learn. The museum has several exhibits, including Our Town (an exhibit that aims to connect little ones with their communities), Totally TOT (the perfect spot for the youngest explorers to practice crawling, standing, and taking first steps) and the Pirate Tree House. Don’t forget to check the upcoming events before your visit. On February 9th the museum is hosting a Valentine Party for its Family Night at the Museum. The Flying Heritage & Combat Armor Museum offers a collection of rare military aircraft, tanks and other military artifacts from countries such as Germany, Japan, Russia, the United Kingdom and United States. The collection is owned by Paul G Allen, the multi-billionaire businessman and philanthropist (estimated to be the 46th richest person in the world ) who co-founded Microsoft with Bill Gates. Our youngest boy loves playing with toy army tanks, fighter jets and monster trucks, so this museum would have him racing from one exhibit to the next. We also enjoy seeing and learning about historical artifacts from the countries we’ve visited on our travels. Some of the highlights in the extensive collection are the Borg-Warner Corporation LVT-3 Bushmaster, the Churchill Crocodile tank, Sherman Medium Tank, Mikoyan MiG-29UB Fulcrum Soviet fighter aircraft and the Focke-Wulf Fw 190 D-13 German aircraft. Living Computers: Museum + Labs offers a hands-on experience with computer technology from the 1960s to the present. It has a new main gallery that offers direct experiences with robotics, virtual reality, artificial intelligence, self-driving cars, video-game making and digital art. Our boys have grown up with tablets and smartphones as the norm, which is quite fascinating. When we were their age, the Internet did not yet exist (well, at least for the general public) and mobile phones were only for the rich (and they were the size of a football). It will be interesting to see how technology shapes their future and how it will alter the way they interact with people. The museum is located just south of Safeco Field and just north of Starbucks Headquarters on 1st Avenue South. See Visitor Information here. This one is perfect for the car loving family. The America’s Car Museum is home to over 250 automobiles that span over 100 years of automotive history, including both domestic and foreign vehicles (see some of the collection here). It also displays another 100 vehicles on exhibit loan from private collections. When I was a boy, my father would take me to auto shows every year. He was a big car guy and wanted me to follow in his footsteps. He had an extensive collection of classic model cars (over 100+) and loved to tell us the stories behind each one. I have fond memories of our time at these car shows and hope to continue the tradition with our boys. Beyond its impressive automobile collection, the museum has a theater, the Speed Zone racing simulator and the Family Zone. Don’t forget to check the events calendar before your visit. Note – this museum is located south of Seattle in the city of Tacoma, just off the I-5. See directions here. 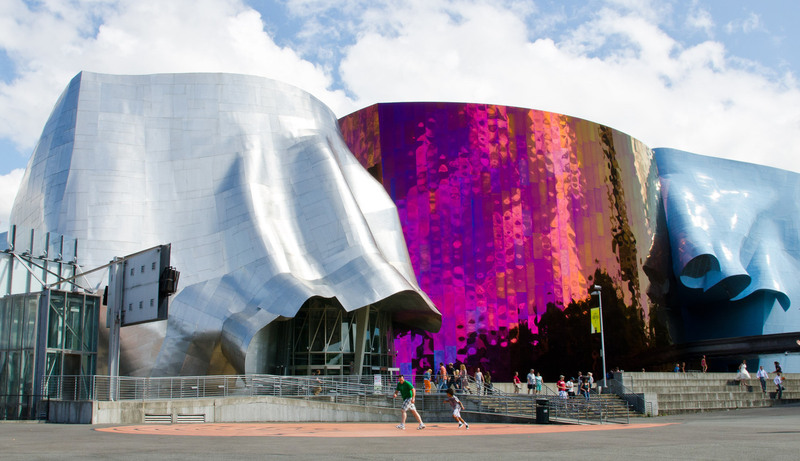 The Museum of Pop Culture (MoPOP) has become one of the most iconic museums in Seattle. It’s conveniently located on the campus of Seattle Center, adjacent to the iconic Space Needle and the Seattle Center Monorail, which runs directly through the impressive building (check out this aerial view of its remarkable architecture). I’m not sure who will enjoy this museum more – the grown ups or kids? Current exhibits include Star Trek: Exploring New Worlds, the Science Fiction and Fantasy Hall of Fame (where visitors can explore the lives and legacies of the current 108 inductees), and Fantasy: Worlds of Myth and Magic (an exhibit that includes iconic costumes and props from TV and movies). 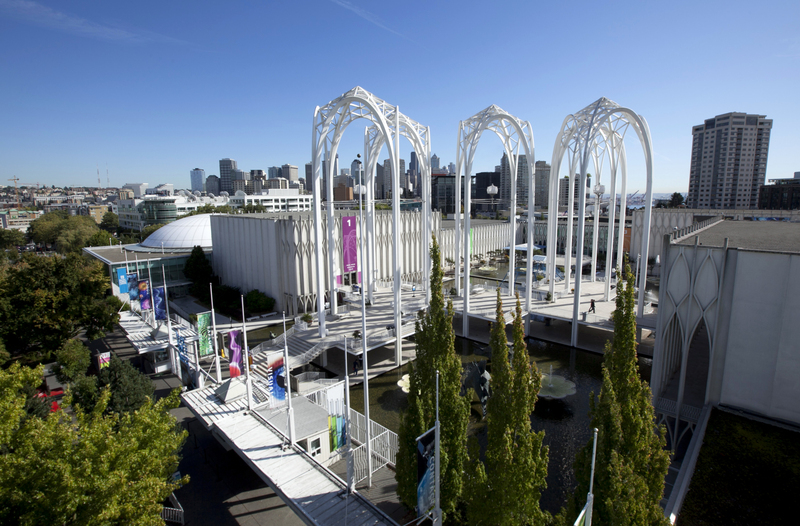 The Pacific Science Center was originally built for the 1962 World’s Fair in Seattle. It’s located on the south side of the Seattle Center, near the Museum of Pop Culture (above), so you can visit both museums in one day – and go up the Space Needle if you’ve got time. The popular venue is home to an IMAX Theater with two state-of-the-art theaters (check movie schedule here). We love watching nature shows and the Planet Earth series by BBC, so it would be fun to watch an IMAX show with them. You can also visit the massive Laser Dome, the largest and longest operating domed laser theater in the world (see laser show schedule here). 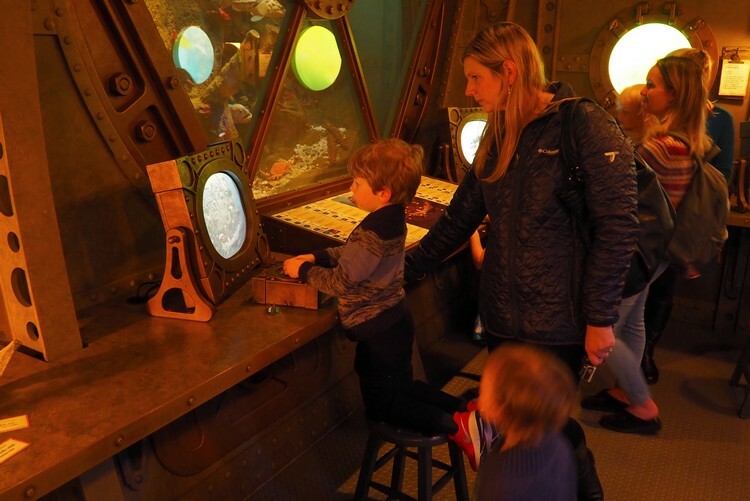 The Seattle Children’s Museum offers 22,000 square feet of exhibits for children 10 months to 10 years old and their families. The museum offers several fun and interactive hands-on exhibits, including COG City (pictured above), Discovery Bay (specifically for our 3 and under), Fort Adventure (where you literally get to build a fort, clubhouse or tent), and Global Village (where you take three mini-trips across the world to Ghana, the Philippines and Japan). Our boys are constantly on the move and the Seattle Children’s Museum seems to have found the perfect balance between playing and learning. We also love how some exhibits, like the Global Village, will fuel their sense of wanderlust. Explore a piece of maritime history on the legendary USS Turner Joy Museum Ship. The old warship has an interesting story. It was launched in 1958 and decommissioned in 1982. It spent time sailing the unfriendly waters of the Gulf of Thailand and South China Sea during the Vietnam war. 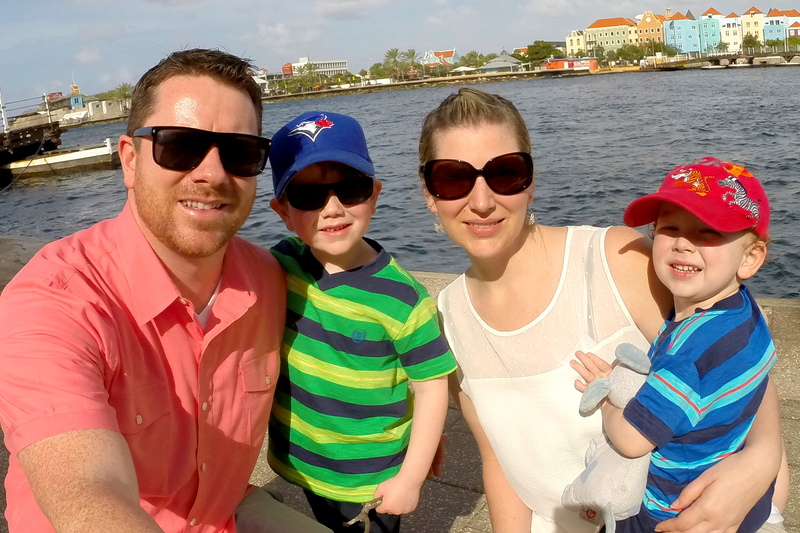 We’ve taken our boys on real ships before, including a pirate ship in Puerto Rico, and it’s always a good time. It’s fun to watch their imaginations run wild. 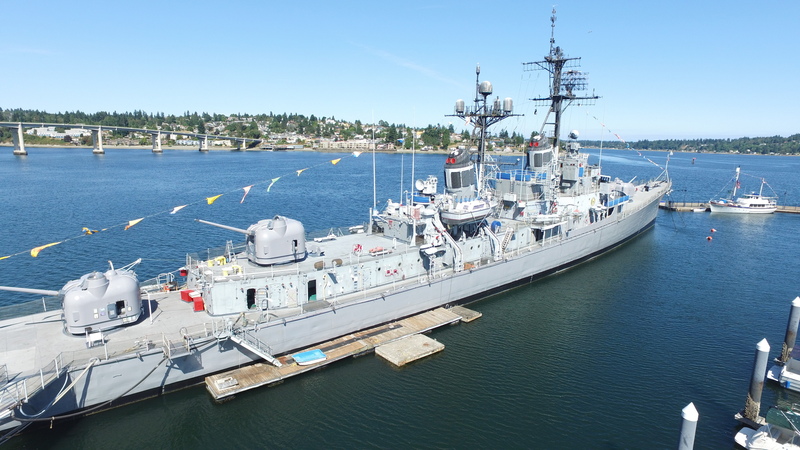 The USS Turner Joy Museum Ship is located in Bremerton, on the Bremerton Boardwalk, which is an easy walk from the ferry terminal. You will need to catch the Seattle-Bremerton ferry from the downtown Seattle Ferry Terminal. The ferry from Seattle takes about an hour. You’ll cross Puget Sound and pass through the beautiful Rich Passage before arriving in Bremerton. While not technically a museum, the Woodland Park Zoo is considered a participating museum for Seattle Museum Month. We love visiting zoos as a family and this impressive zoo has more than 1,100 animals and 300 species, including some of the world’s most critically endangered. While there are a number of residents at the Woodland Park Zoo (and we’ll be sure to name several below), it’s the uniqueness of the exhibits themselves that really sets this zoo apart from the rest. The African Savanna exhibit is home to giraffes, lion, hippopotamus, ostrich, zebra and Patas monkey. The Australasia exhibit hosts a snow leopard, emu, kookaburra, and wallaby/wallaroo. The Northern Trail exhibit is home to brown bear, elk, grey wolf, mountain goat and snowy owl. The Tropical Asia exhibit is home to a Malayan Tiger, sloth bear, langur, tapir, and orangutan. The Tropical Rainforest exhibit includes a jaguar, ring tailed lemur, golden lion tamarin, posion dart frog, saki monkey, toucan, ocelot and a gorilla. There are lots of exhibits and events happening throughout the month. Visit the What’s On page before your trip so that you don’t miss out. Half-price admission discount is applicable only to guests staying in participating downtown Seattle hotels during the month of February. The offer is valid only during hotel stay dates. Guests must show Seattle Museum Guest Pass to receive the discount at participating museums. Not all museums are open every day. Check individual museum websites for operating hours. If you don’t have a vehicle, visit the Getting Around page to learn how to navigate Seattle and the Puget Sound region. Share your experience and recommendations in the comment section below. Our readers thank you! This post was sponsored by Travel Mindset and Visit Seattle.